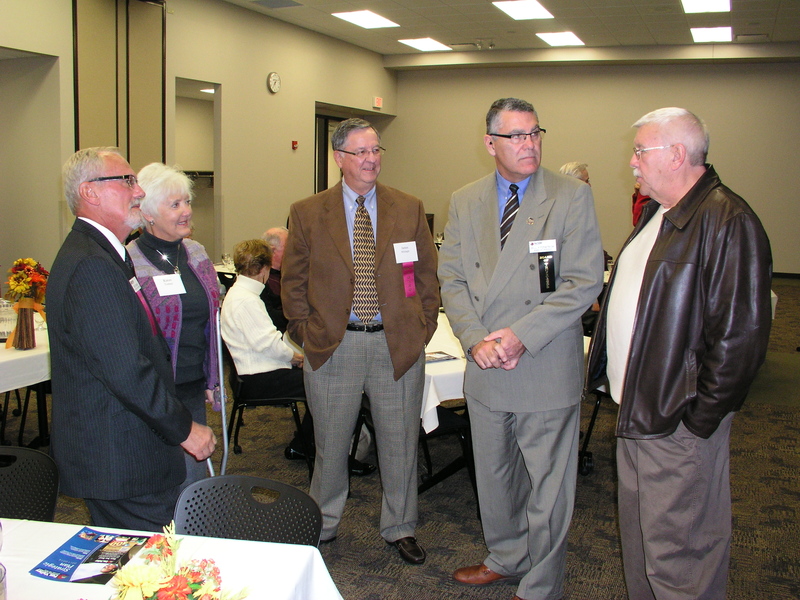 We held a great event this week…..our Centennial Board Reunion. 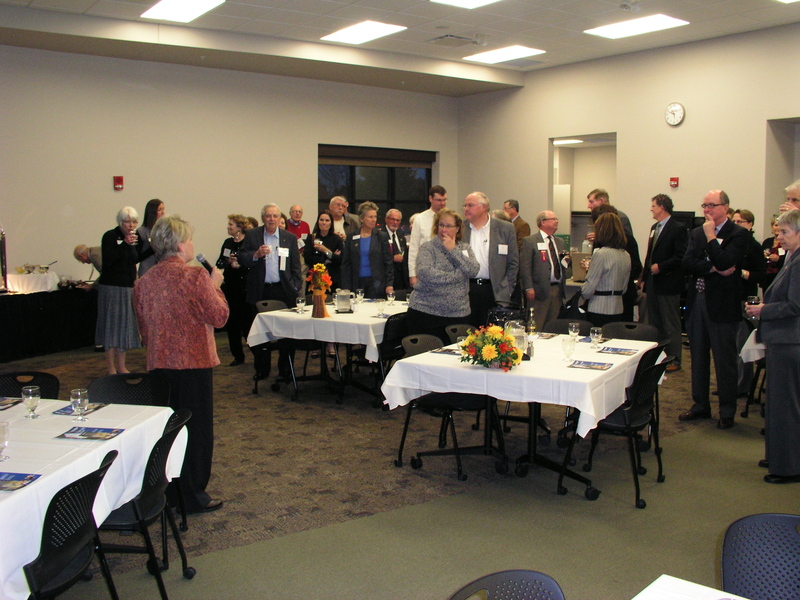 Attending as our guests were College Trustees, Foundation Board Members and FVTC Presidents from the past and present. Several had great stories to share and perspectives from the point in time which they served this College. One conversation really stood out for me and it was with a former trustee who had served on the FVTC Board of Directors from 1967 to 1973. He told me that he can still recall the feeling of the shovel in his hand when the ground was broken to build our Appleton Campus. And he is completely in awe of what this College has become today and the incredible impact we make on our region. I could sense tremendous pride from this gentleman and many others in the room in having played a leadership role in creating what has become the legacy of Fox Valley Technical College. 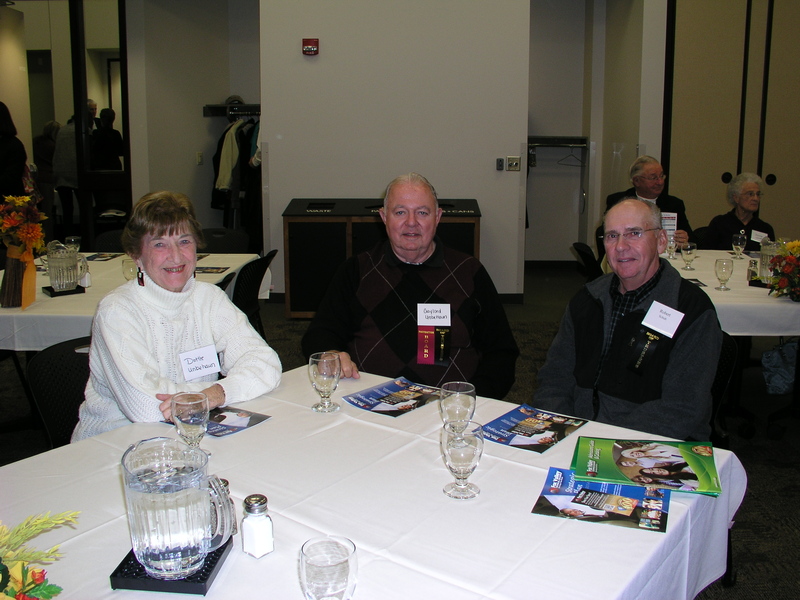 Board members shoulder a tremendous responsibility…..and have at so many points of time in our history. One of their greatest challenges is balancing the investments needed to support individuals and employers in our area (fundamentally fulfilling the College’s mission) with fiscal sensitivity and restraint. That’s not an easy task, particularly today. But through the spectrum of time, various Boards and administrators have taken bold, courageous, and forward-thinking steps that have allowed our organization to thrive as a tremendous resource for the people of this region. I applaud those efforts. 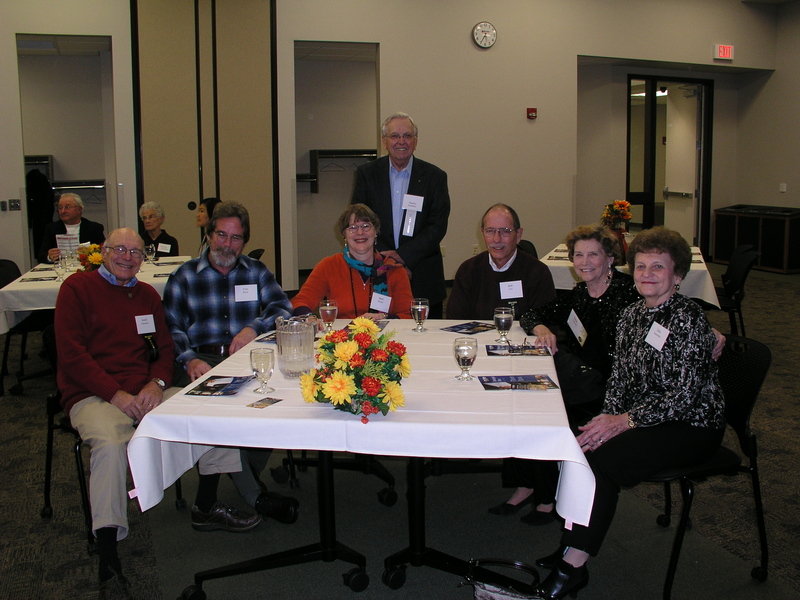 View photos below of some of our current and former college leaders who attended the reunion! The Wisconsin Technical College System Board (our governing body at the state level) is in the process of developing their strategic plan and looking to determine what the System’s direction will be in the coming years. The Board is looking for input from a wide range of constituents in the State…..faculty/staff, community and business leaders, students, and the general public. If you have just a few minutes, please go to the link below to provide input on the priorities and directions that are being considered. The direction that the System takes, of course, impacts our work locally. The survey is quite short and straightforward; I would urge you to bring your voice to this process. The survey will be open and available through the end of October. Late last week I had the opportunity to serve on a leadership panel for a Wisconsin conference, “Global Education 2011: Internationalization Across the Disciplines,” held in Madison. I was there at the invitation of the chair of our Agriculture department, Randy Tenpas, and had the opportunity to chat with him a bit at the conference. Randy had spent the last year serving on this conference planning committee along with other representatives of the UW system, the DPI, the technical college system, and the independent colleges and universities in Wisconsin. It struck me that there are numerous ways to broaden one’s horizons. Randy and several others at our college have the opportunity to work directly with many international students, lead study abroad efforts, and work with local companies to prepare their people to address both language and culture challenges in doing business throughout the world. But Randy also suggested that serving on this conference committee took him a bit “out of his comfort zone” and that he learned a great deal by doing so. He shared that his primary role at the college involves working with Agriculture students, and this opportunity gave him the chance to better understand global issues and the impact on our students. It is humbling to think about Fox Valley Technical College serving our community for the past 100 years. As I think back to the days when I joined the college 28 years ago, so many things have changed. The number of people served is now just under 53,000 (the greatest reach of the state technical colleges), the number of graduates has doubled since 10 years ago, and technology, oh the changes! Yet something that hasn’t changed a bit, is our dedication to our mission. We prepare people for employment. It’s been our keen focus since 1912, and continues to be the focus today. You could have a look at our 100 years website here: http://www.fvtc.edu/100years and view a digital timeline by decade, share photos you might have related to the college, and view a variety of historical videos. Speaking of changes in technology, this 1970’s commercial of ours makes me laugh every time I see it. Have a look: http://www.youtube.com/foxvalleytech#p/c/1CE2233AB53FF620/1/IBVGtd-hJWE. I would be honored if you would share your story about your experience with the college, and we’ve set up a special Facebook page just for that: http://www.facebook.com/foxvalleytech100 Have a look and enjoy hearing from others who’ve already shared their stories. I also invite you to join us at our Centennial Open House on Oct. 4 from 3-7:00 pm. This is our big outreach event to celebrate our centennial with our community and we would love to have you join us at one of our locations. All details can be found here: http://www.fvtc.edu/openhouse. We even have a free seminar this evening hosted by our Venture Center, for those thinking about starting their own business. Registration is required and the details can be found at the link above.